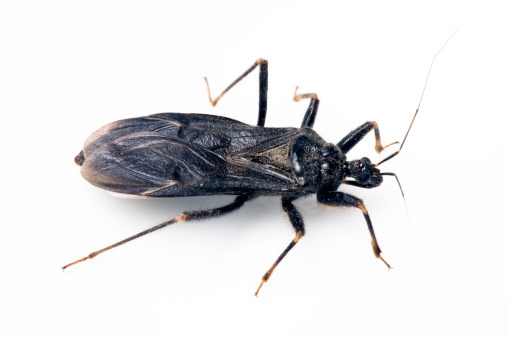 Chagas disease, also known as the ‘kissing bug’ disease, is an infection that is affecting more and more Americans every year. Since this disease has primarily been found in places like Mexico as well as South and Central America, many people in the United States, including physicians, are unfamiliar with it. However, the last few years have seen cases turning up in the United States. Most people are believed to have been infected abroad, but recently more of these infections have been contracted locally. The kissing bug (also known as the triatomine bug, reduviid bug, assassin bug, cone-nosed bug, or blood sucker) includes many different species that can all carry the parasite Trypanosoma cruzi that causes Chagas disease. These insects can be found both indoors and outdoors, particularly in the cracks and holes found in substandard housing. They are found across the southern two-thirds of the United States, but the parasite is generally found in the triatomine bugs from Latin America. There are other bugs that resemble this insect (like the assassin bug or the wheel bug), so if one is found it can be taken to an entomologist for positive identification. Fortunately, contracting Chagas disease from kissing bugs is rather difficult – an individual needs to contact the insect’s feces through a wound (like the bite wound that the insect makes, often on the face) or a mucous membrane (like the mouth or the eyes.) Some people are allergic to the insect’s saliva, but this does not mean that they have contracted the disease. Signs of an allergic reaction include redness, itching, swelling, and welts or hives. In rarer cases this reaction can cause anaphylactic shock. In the event that someone does contract Chagas disease there may be a mild swelling at the site where the parasite entered the body – this is known as a chagoma. Romaña’s sign is swelling around the eye if the eye was the parasite’s inoculation point. The chagoma or Romaña’s sign both last longer than an allergic reaction and are not nearly as itchy. Other than the potential swelling and fever, there are very few early signs for Chagas disease. In rare cases there may be severe inflammation around the heart muscle, brain, and lining of the brain. If a person remains untreated they can enter a chronic phase of disease where very few or no parasites are found in their blood, making diagnosis difficult. Many people will remain symptom free and never know they have the disease, but 20-30% can develop symptoms. These symptoms include heart rhythm abnormalities that can cause sudden death, a dilated heart that doesn’t pump well, and a dilated esophagus or colon that makes it difficult to eat or to pass stool. Dr. Susan Perlman appeared on American Health Journal this Friday to discuss Friedreich’s Ataxia (FA) along with one of her patients, Stephanie Magness. They educated viewers on the clinical aspects of the disease as well as daily life and clinical studies. Dr. Perlman is a professor in the Department of Neurology at the David Geffen School of Medicine at UCLA and physician specializing in ataxia, Huntington’s Disease, and neurogenetics. She is the Director of the Ataxia and Neurogenetics Program and the Post-Polio Program at UCLA and has been a primary investigator for many Friedreich’s Ataxia trials over the years. In this program, Dr. Perlman reviews some of the basic facts of the disease – it is a recessive neurogenetic disorder caused by mutations in both copies of the gene that controls the production of frataxin, it is a disease of childhood, and the symptoms start with balance and coordination difficulties. It begins in the legs and progresses to the hands, speech, vision, and even hearing. The patients may also develop cardiac symptoms, which include hypertrophic cardiomyopathy, heart rhythm problems, and even heart failure. Diabetes is another potential symptom and can cause affected individuals to require insulin. Stephanie Magness is currently one of Dr. Perlman’s patients and, like all too many people with FA, she was not diagnosed correctly for the first few years of her symptoms. Friedreich’s Ataxia is often misdiagnosed as another recessive childhood neurogenetic disease like Charcot-Marie-Tooth disease, cerebral palsy, and idiopathic peripheral neuropathy. She was eventually diagnosed correctly via gene testing and is now able to manage her symptoms accordingly. Stephanie has also taken part in a natural history study as well as a clinical drug trial – possibly the first approved drug for FA. According to Stephanie one of the most difficult aspects of the disease is its progressive nature. Even if a patient is able to handle their symptoms well currently they know that it may all change. Her advice was to focus on what you can do instead of things that you obviously cannot and find new things to do that you can excel in. 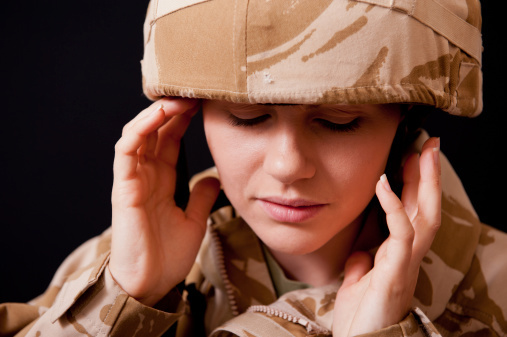 One of the most common injuries to war veterans is hearing damage. 60% of soldiers returning from warzones experience some version of hearing damage – either hearing loss, tinnitus, or both. This accounts for around 414,000 US veterans from Iraq and Afghanistan to date. Most people are concerned with loss of limbs, post-traumatic stress disorder, and brain injuries while less attention is brought to hearing loss. Despite its prevalence, hearing damage is often overlooked since it is generally does not cause loss of life. The two main reasons for hearing damage from war are short-term exposure from high-intensity noise and long-term exposure to loud ambient noise. This can involve everything from loud trucks and helicopters to machine guns, artillery fire, and blasts from explosives. The prevalence and intensity of damaging wartime noises has increased over time, particularly with the use of improvised explosive devices (IEDs), which has resulted in more hearing damage for soldiers than in the past. Hearing protection is provided by the military, but many soldiers will forgo using it in order to listen carefully for signs of danger. In addition – if soldiers find themselves in a combat situation suddenly, there is no time or good way for them to grab hearing protection. One of the problems with diagnosing hearing loss is that many veterans don’t seek medical attention when they first start to notice problems. Military culture can be partially to blame since hearing loss is so prevalent. Hearing loss has often been seen as a necessary evil or even an honorable sign that a soldier has seen action. However, this delay in treatment is not unique to veterans. Many individuals try to live with their hearing loss, despite the fact that damage to hearing cannot be reversed. On average it takes 7 years for someone to talk to a doctor after they first start noticing changes in their hearing. Hearing loss is costly for the U.S. Department of Veterans Affairs with around $2 billion in benefits dispersed annually. The VA purchases one in every five hearing aids sold in the United States and 25-30% of all VA disability claims involve hearing. There is a push to get more funding for research in hopes that they can achieve the same innovations that the prosthetic limb field has seen. All veterans are encouraged to have their hearing evaluated upon discharge and medical attention should be sought as soon as hearing loss is noticed. What is the harm of sitting?